In the Philippines, there are two things that define a classic summer: swimming at the beach and island hopping. In Puerto Princesa, you get both! 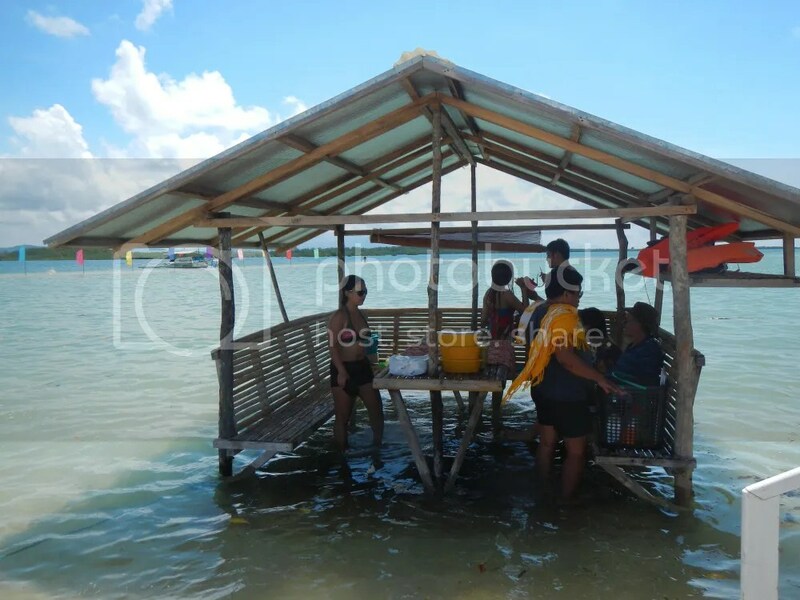 We capped our third day of adventuring with a boat tour on the islands that dot Honda Bay, a natural, serene, and scenic bay at the east of Puerto Princesa’s City Center. Honda Bay has several islands but only a few of them are open to tourists. The rest are protected areas or are now privately owned. Now let’s talk about island hopping for a second. Do you know that the term “island hopping” has a military origin? Yes, during World War 2, the Allies, specifically the Marines, would land their landing crafts on a Pacific island, go into battle to take it from the Japanese, and then go to the next one. This military maneuver was called “island hopping.” Today, island hopping refers to the recreational activity of renting a boat, visiting islands, enjoying the sea and the beach, and then coming back to the mainland later in the day. We started out early, around 7:00 AM. Our guide, Ron, fetched us from our hotel, together with a few other island hoppers. 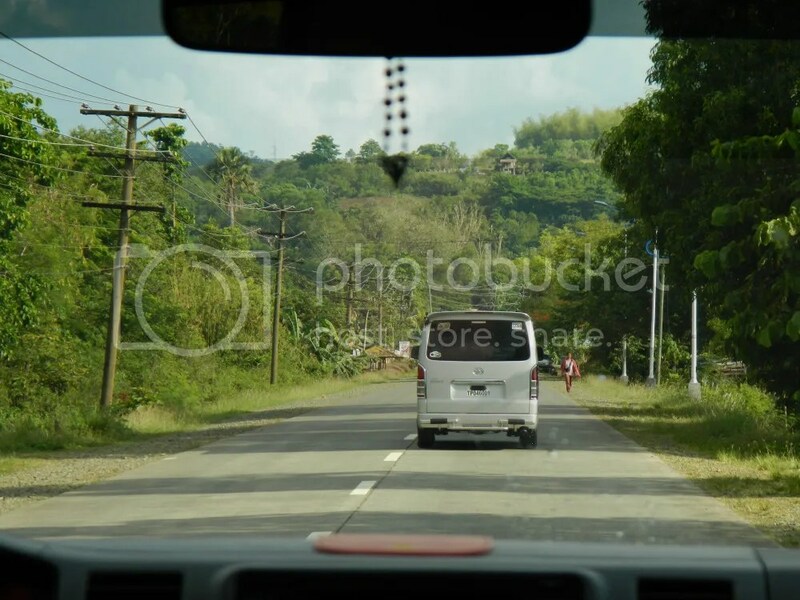 Soon, we were on the road to Honda Bay wharf. As you can see, the Puerto Princesa LGU is serious in making their city and province a world-class tourist hotspot starting off with an excellent road network and transportation infrastructure. On the way to Honda Bay wharf, we stopped by at Panz Mask and Snorkeling Shop where people can rent snorkeling and free-diving equipment. We rented two sets of snorkeling masks and booties. People with non-waterproof cameras can also rent waterproof casings here. From Panz Mask and Snorkeling Shop, we arrived at the Honda Bay wharf. While waiting for our guide to process our permits, we took time to take photos of the wharf. As you can see, the Honda Bay wharf is well equipped to handle tourists. 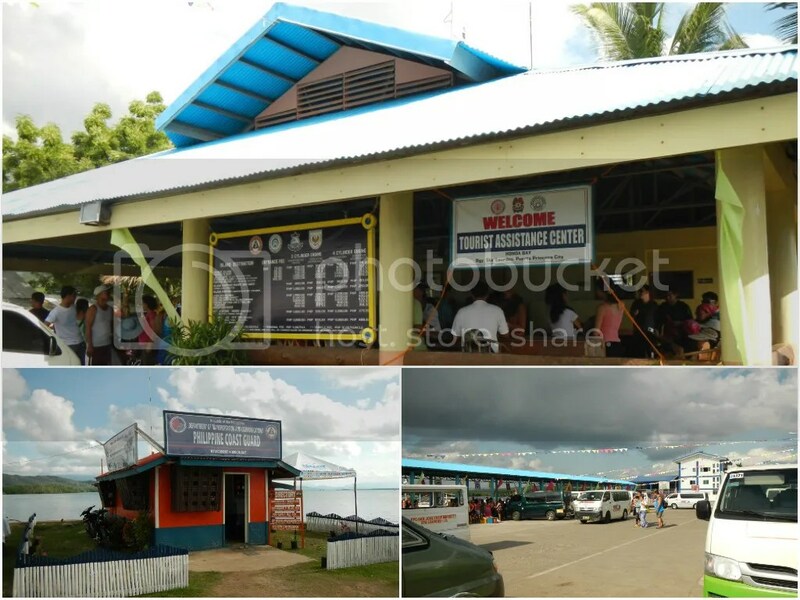 It has a large tourist assistance center, a Philippine Coast Guard office, an ample large parking area, and a waiting area for those waiting for their boats. The wharf also offers a spectacular view of the entire Honda Bay area. Even at this early, island hoppers were already jamming the waiting area. The frenzy of activities picked up as the morning wore on. After half an hour of waiting, we finally got our own motorized outrigger that will ferry us to the Honda Bay islands. This 4-cylinder engine boat can carry 10 passengers. But before we boarded the boat, Ron instructed us to remember the boat number. That’s because there were a whole lot of similar-looking boats once we reach the island destinations. Obviously, we don’t want to be riding a different boat, do we? 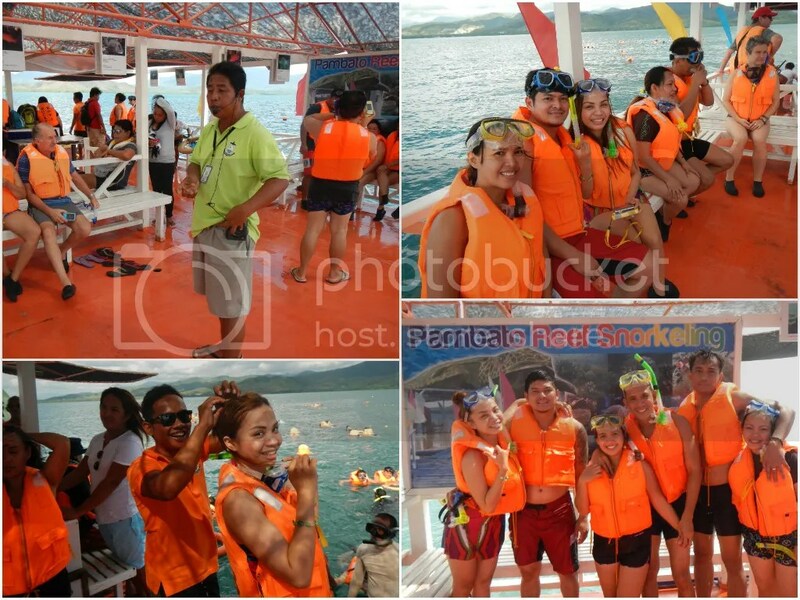 After donning our life vests, everyone was pretty excited for the island hopping trip. For Betina, the German lady whom we initiated a conversation with, it was her first time riding an outrigger towards several tropical paradises in the span of a single day! She was pretty excited. And off we go! Goodbye, Honda Bay wharf for now. We’ll see you again in the afternoon. 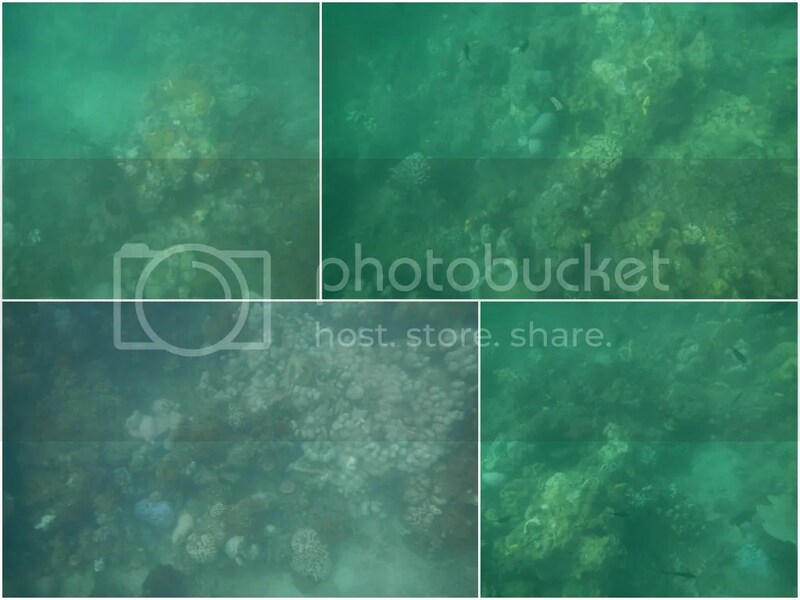 Our first stop was Pambato Reef, a small, protected underwater reef that locals dub as a mini-Tubbataha reef. We knew we were approaching Pambato reef when we saw this “parking lot” full of boats. 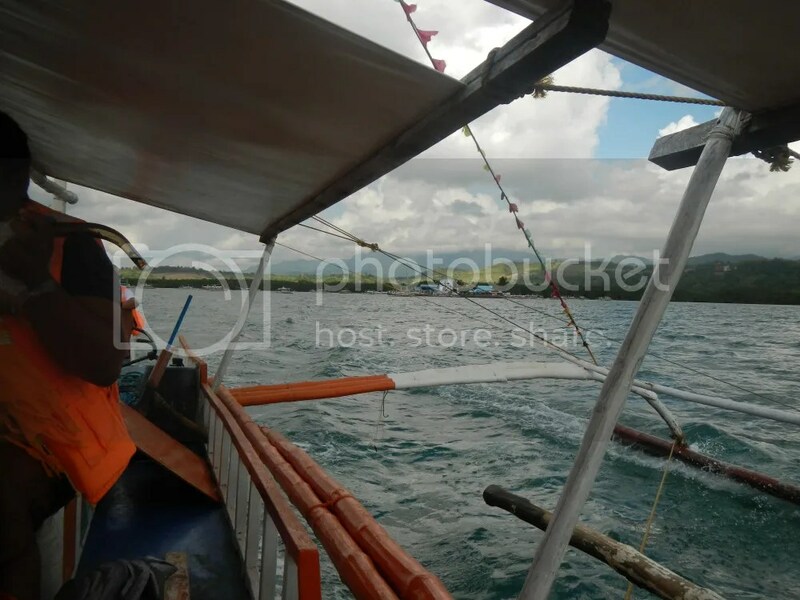 We half expected Pambato Reef to be like the Hilutungan Marine Sanctuary in Lapu-Lapu where boats tie in on floating buoys around the reef. We didn’t expect that the LGU actually created a floating structure (carefully anchored, of course) just beside the reef. Narrow walkways lead from the docking area to the staging area. The staging area is this large floating platform with a giant turtle on top. All around the platform are photos and information about reef systems and the various marine life that inhabit the Pambato Reef. This guide was funny . . . and clever at the same time! After the mandatory briefing, he added, “And on May 13, don’t forget No. 16, Edward Hagedorn, for senator.” Hehehe! Anyway, we second safety checks and the customary group pictures. Then it was our turn to dive into the cool water. Pambato Reef is 15 to 20 feet below the surface, but the areas around the reef are abyssal in depth. That’s why even for swimmers, life jackets are required. Check out the throngs of people enjoying the water and the underwater sights. At first, we couldn’t see anything but an endless void of green. 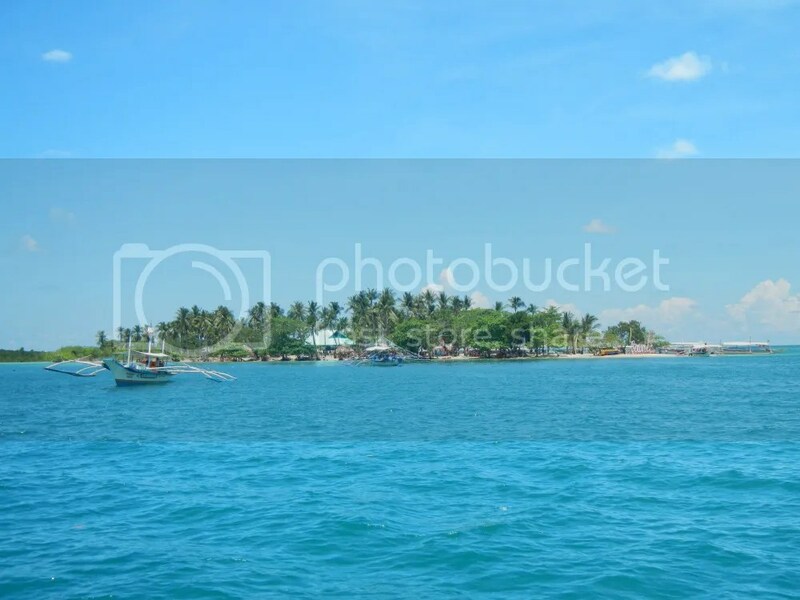 Then after a few minutes, the beauty of the underwater landscape of Pambato Reef filled our view. 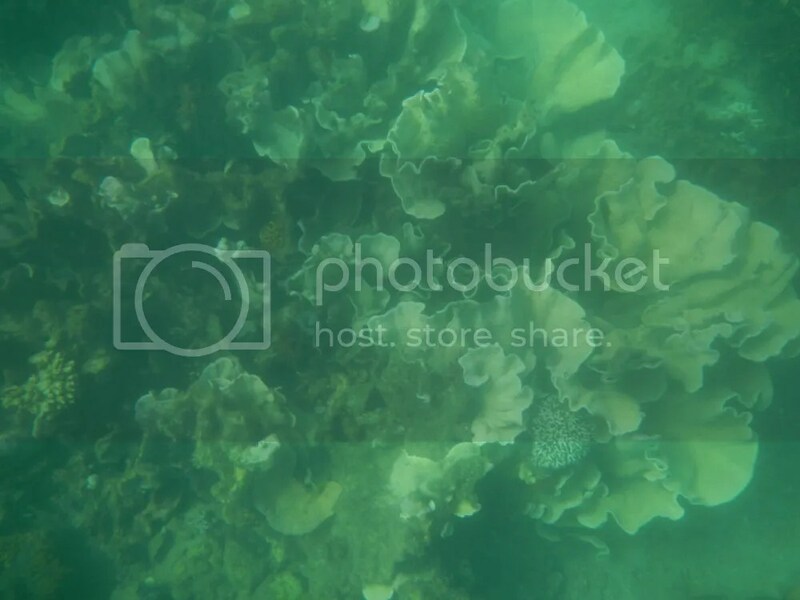 Gradually, we witnessed an underwater landscape of unspoiled corals. 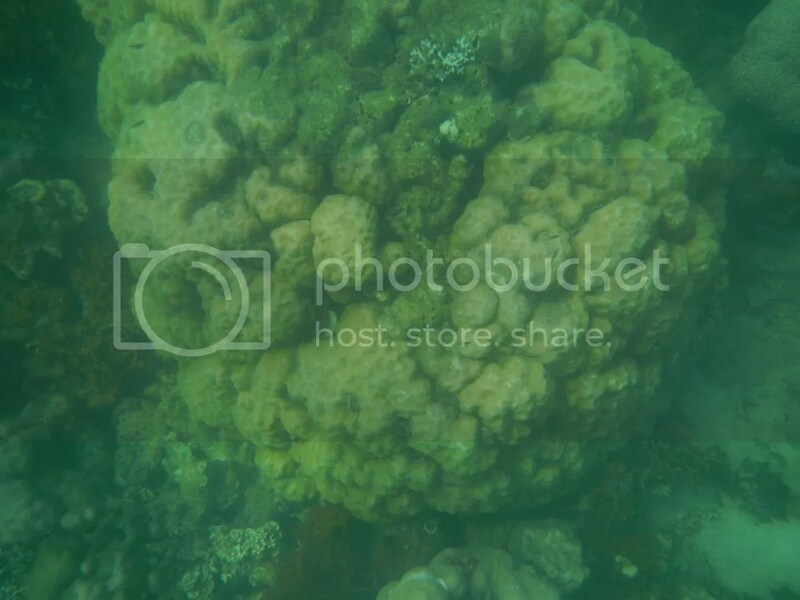 We saw fan-shaped corals like this. It was so tempting to touch it, but that’s around 15 feet deep from the surface. Now, you may wonder why the water has a green tinge. Well, with so many people snorkeling around, it is inevitable that silt and particles in the water get stirred up. Silt and minute particles make the water slightly green. It was an awesome experience to see the secret homes of fish. A coral encrusted rock served as a cleaning station where wrasses and cleaner shrimp pick off ectoparasites from the scales and skin of other fish. 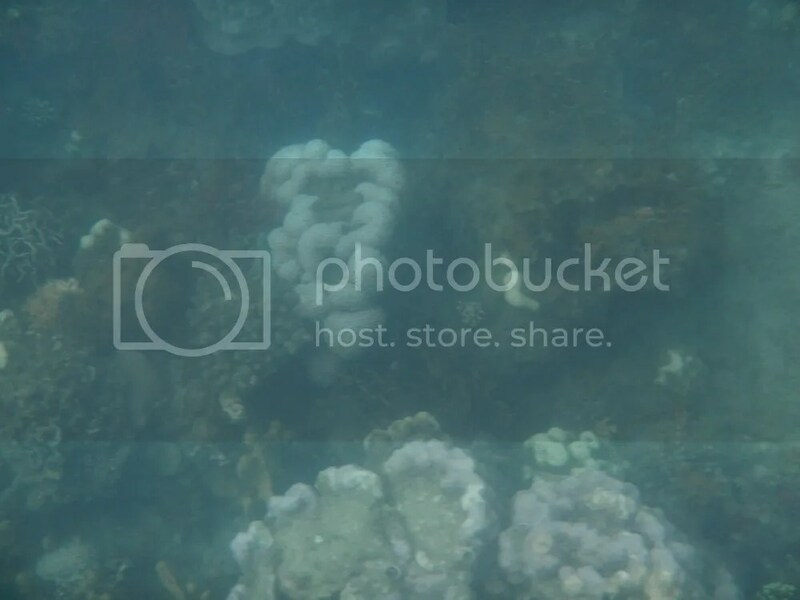 This was the first time in many years that we’ve seen a live giant clam. Seeing this monster down there was exhilarating as well as mystifying. Mankind has gained a lot of knowledge about the cosmos but has barely scratched what waits to be discovered in the alien world beneath the sea. After half an hour of snorkeling, we went back to the boat to visit our next destination: Lilu Island. This is not really an island in the real sense of the word but a sandbar. 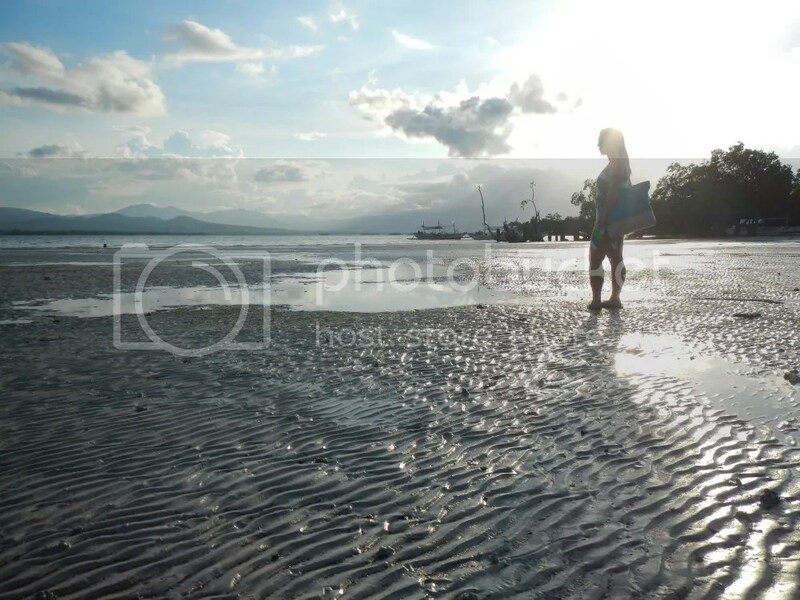 During low tide, the sandbar becomes visible; and during high tide, it becomes covered with water. Thus, the name Lilu, a portmanteau of the Tagalog words “lilitaw” (floats) and “lulubog” (sinks). 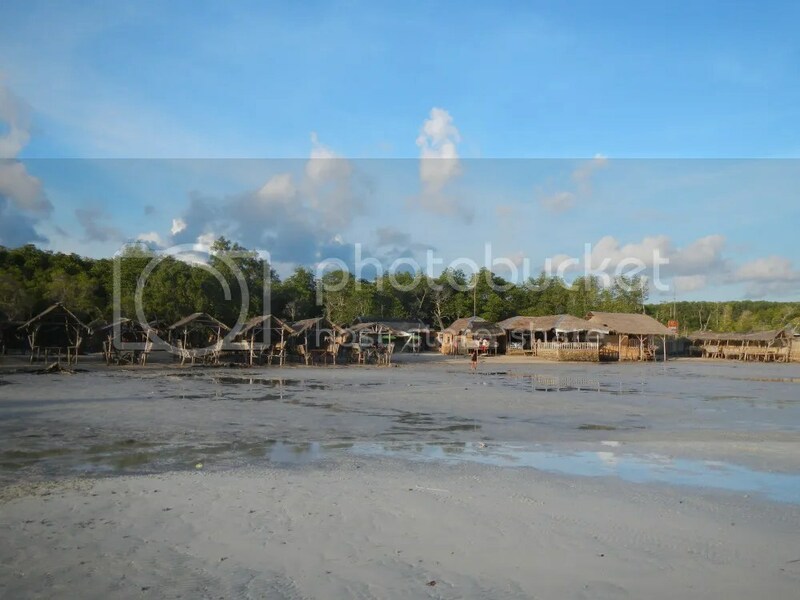 Similar to our very own Pandanon Island as well as other islands in the Olango and Hilutungan Channels, Lilu Island is developed for tourism. Thus, you can see structures such as cottages, floating platforms, rooms, and markers. Personally, we think it has lost its original beauty, but the place is still ideal for beach lovers. Mangroves are aplenty at the eastern side of the island. It’s a good thing the development of the island did not touch these mangroves. As you know, mangroves are very important in marine ecology. 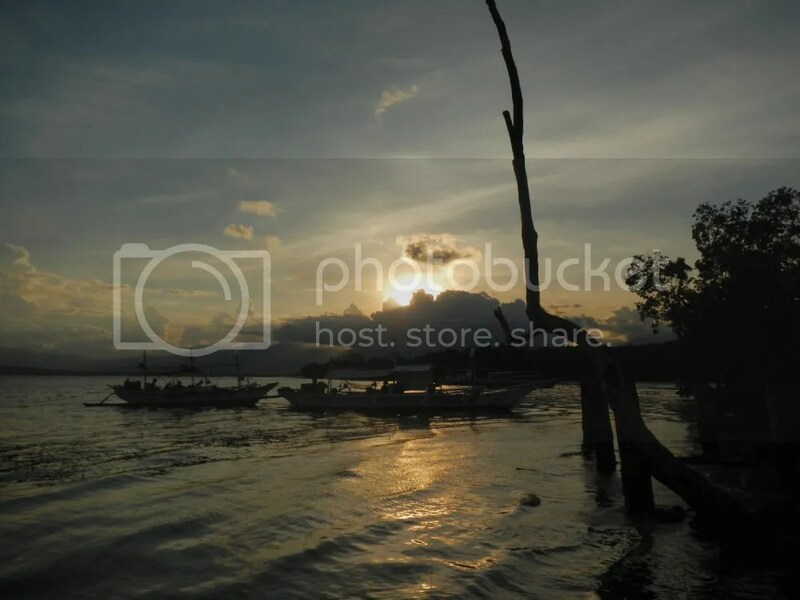 The presence of mangroves and a dock suggests that Lilu Island is a rich fishing ground. After seeing the diving board, I just couldn’t resist! And yes, it’s exhilarating! 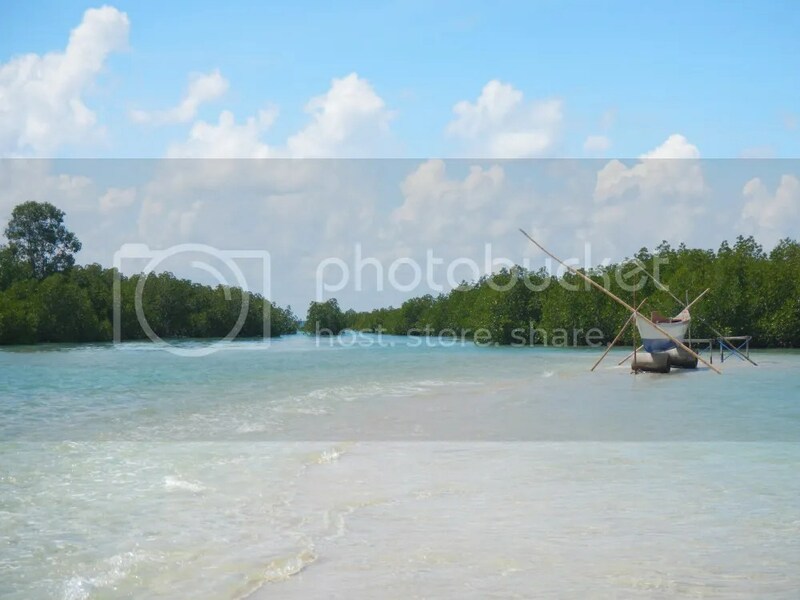 The sandbar is actually a semicircle bordered by a patch of mangroves with a shallow lagoon in the middle. 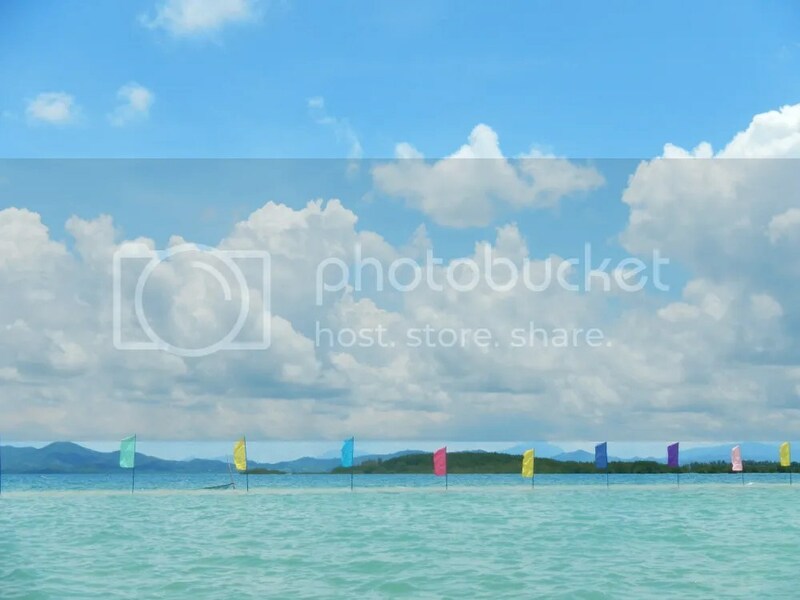 You can walk along the sandbar and have picture-perfect moments here as long as you don’t go beyond the marker flags. The fine sand is lovely; we had fun digging our feet into it. And yes, the water is crystal clear. Kayaks are available for rent here. 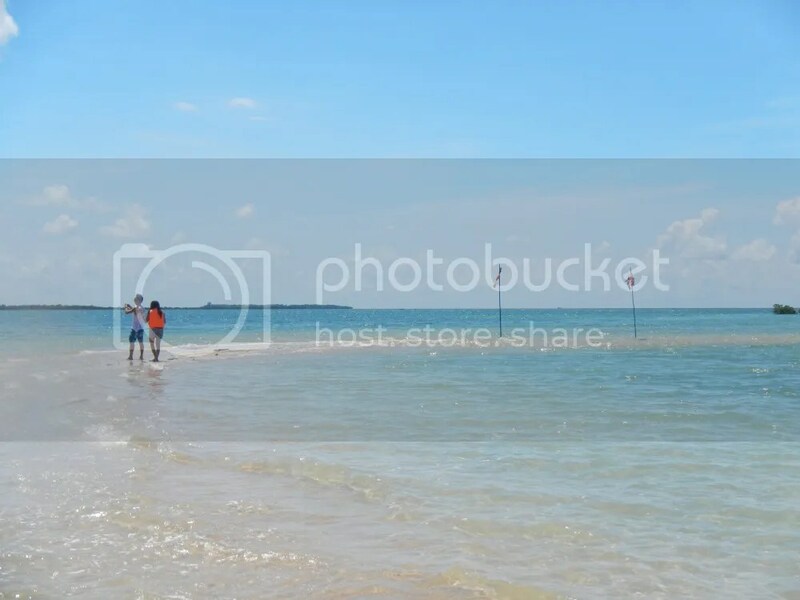 You can safely kayak at the inner side (the lagoon) of the sandbar like these tourists. For your own safety, you’re not allowed to swim or go beyond those marker flags. After more than an hour of swimming, our guide called us for lunch! It was about time. We were starving! Hehe! We took our lunch in one of the cottages in Lilu Island. The cool thing about this was that we ate lunch with our feet in the water! 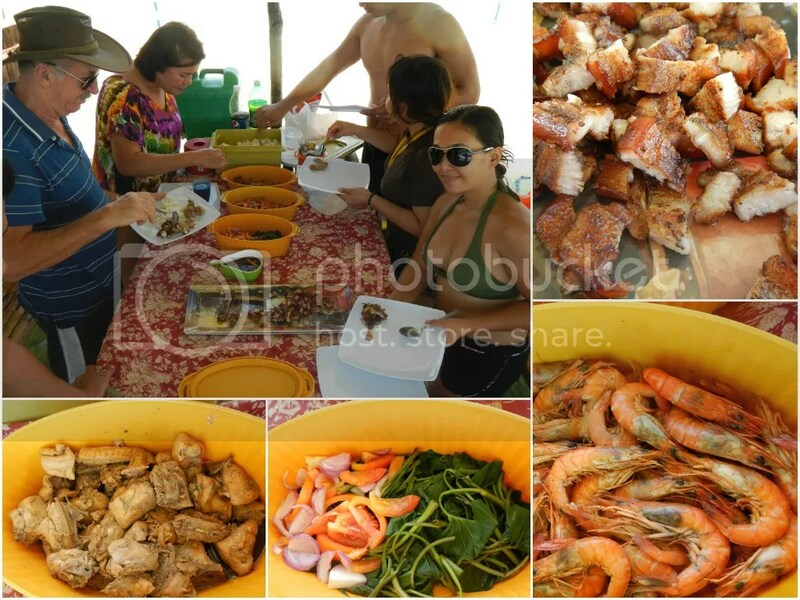 We had a classical, sumptuous, beach-perfect lunch of grilled pork, adobong manok, kangkong and tomatoes, and fried shrimp. The two foreigners with us enjoyed the food so much and commented that it was one of the best meals they ever had. Yes, our cuisine may be simple, but they pack a punch! A few minutes after our meal, this creature floated near our cottage. That’s a pufferfish, and although it was dead, we were still amazed at its shape and size. When threatened, a pufferfish swallows either air or water to inflate its elastic stomach. The sudden inflation either startles or discourages the predator from eating a spiky ball instead of a tasty fish. Pufferfish are known to be some of the most venomous in the animal kingdom. Internal organs such as the liver, and even the skin, are full of tetrodotoxin, a highly lethal poison. However, daring and skilled Japanese chefs may carefully prepare pufferfish meat (called fugu) as a delicacy, isolating parts that are safe to consume. 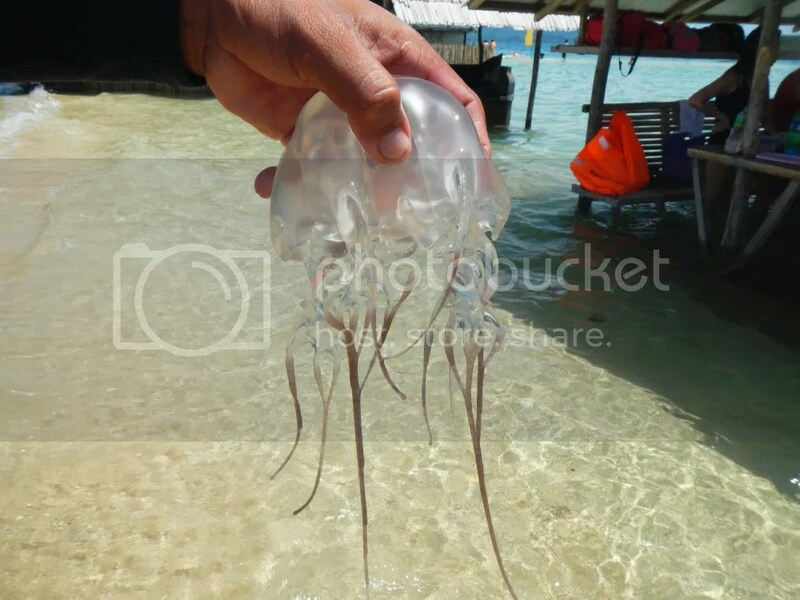 A short while later, a guide came strolling by and proudly showed us his catch, a live, poisonous jellyfish. It’s safe to hold the head, but be damned careful not to touch those tentacles! The tentacles are poisonous and can cause severe irritation and burns. He walked towards the end of the sandbar and released the creature back into the sea. After filling up our tummies with a delicious lunch, we swam for a little bit more before we headed to our last Honda Bay island hopping destination, Cowrie Island. The guide earlier told us that the place is aptly named because it is shaped like a cowrie shell. As we approached Cowrie Island, we didn’t find any resemblance of it to a cowrie shell. 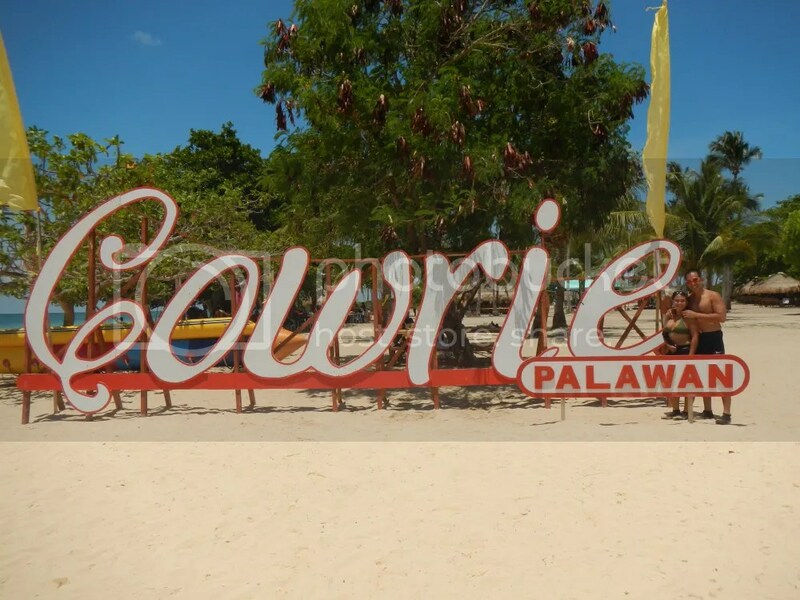 We guessed that the name Cowrie Island came from the fact that cowries (sigay in Cebuano) were once abundant here. Apparently, they were harvested by local fishermen. The island was then converted to a resort. 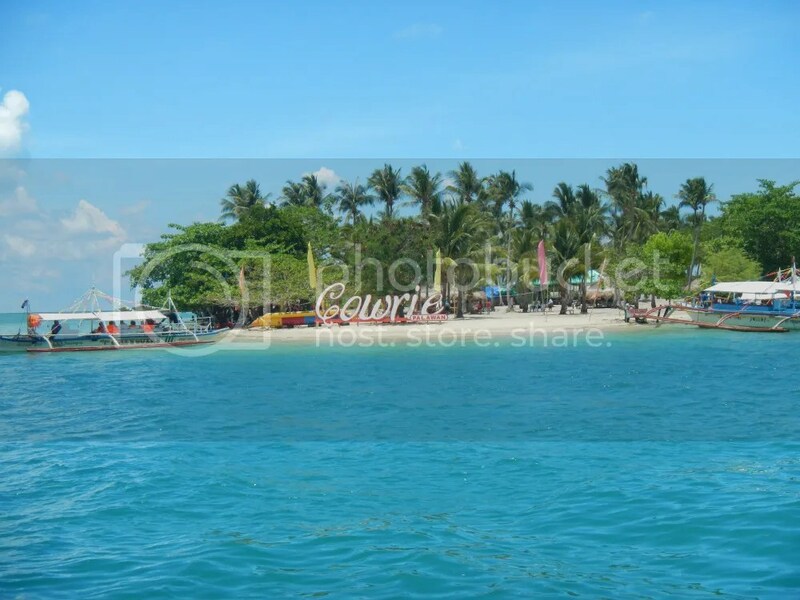 Welcome to the lovely, white-sand Cowrie Island! Cowrie Island is a small rock outcropping that prominently juts out of a hidden atoll. As you can see, it’s a perfect paradise for beach lovers. These serene places are some of the reasons why foreigners fall in love with the Philippines. 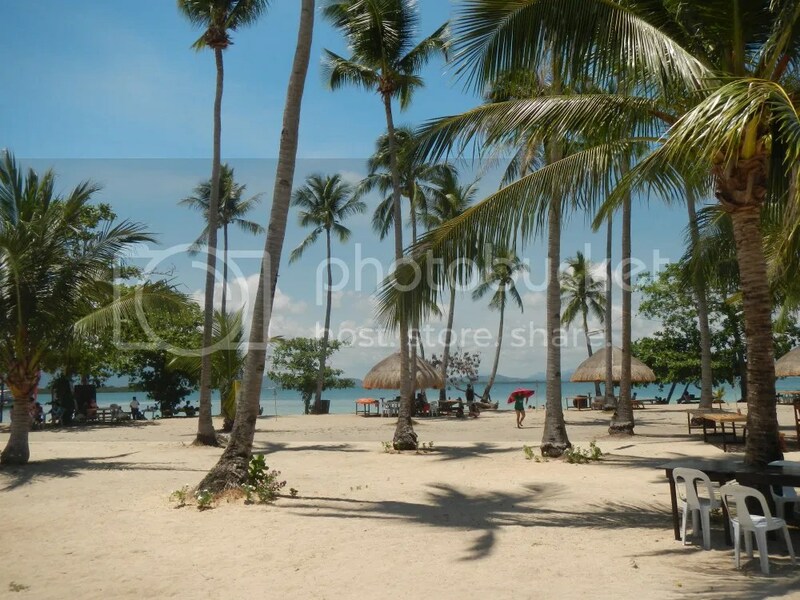 The flimsy shade of coconut trees is not enough to lessen the full blast of the sun. You may want to stay under these nice huts for more shade. 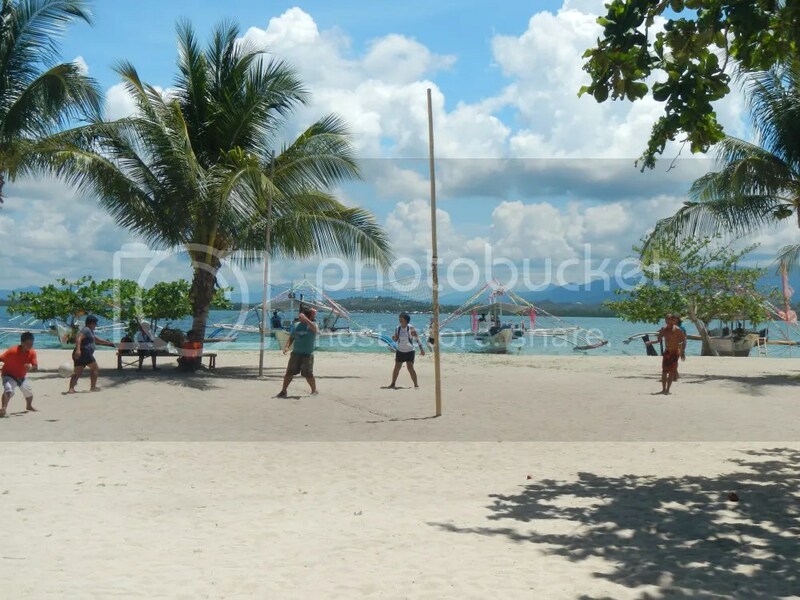 To while off the time, our guide and some of his friends played volleyball on the island’s sandy court. Of course, an island hopping trip is not complete without swimming in the world-renowned clear waters that make the Philippines a perfect haven for scuba divers, snorkelers, windsurfers, and anyone who loves the sea. That’s Cowrie Island’s swimming area. For safety, swimmers are not allowed to cross the buoys. 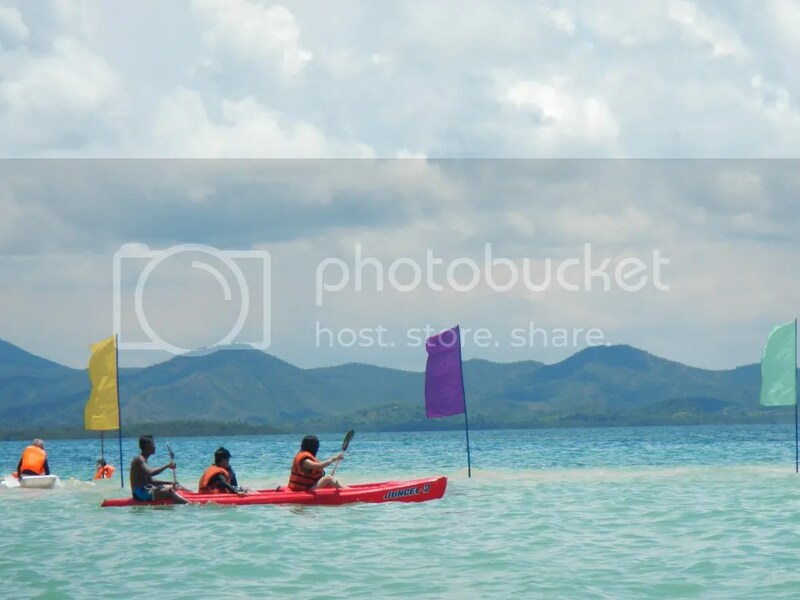 Palawan’s tourism branch takes the safety of tourists and the preservation of its marine resources very seriously. We saw similar signs such as these in the destinations we covered so far. And yes, Cowrie Island has a lifeguard, so you should feel really safe swimming here. So Sweetie and I did not hesitate. We jumped right in and enjoyed the warm water and fine sand. Yes, with sunglasses to look cool. Hehe! 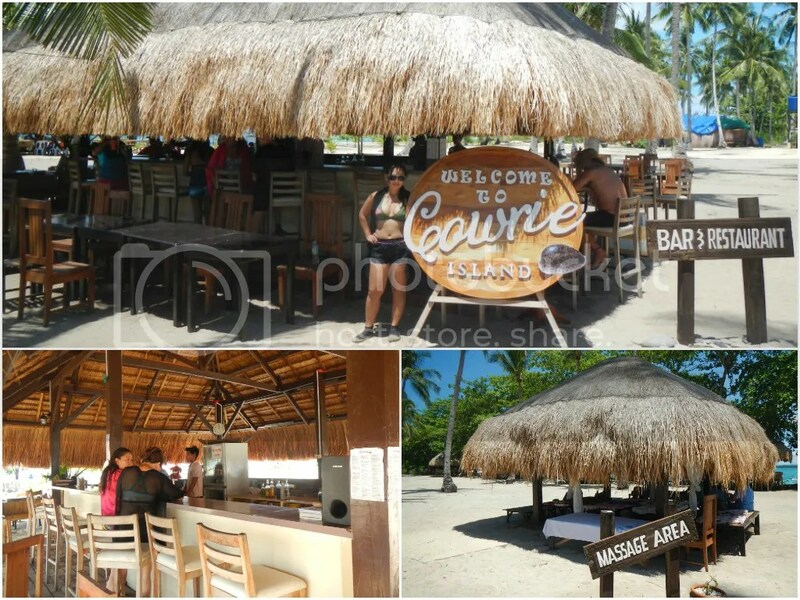 Cowrie Island also has other facilities to keep tourists entertained. For instance, they have this nice bar that serves you with your favorite drink. And if you feel sore from all that swimming, you can always have those aches vanish with the help of professional masseurs. Swimming and being bombarded by the sun’s heat definitely made us thirsty. So we opted to refresh and reenergize ourselves with fresh coconuts. As with any other tourist destination, the price of coconuts sold is many times higher than normal. 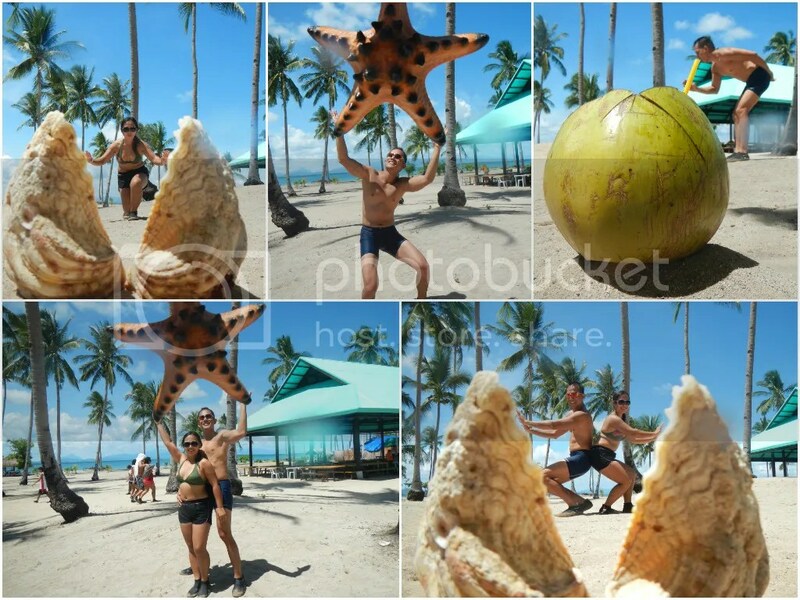 We caught a giant starfish, held a gigantic clam’s shells open, and drank from a colossal coconut. Hehe! Not really. One of our boatmen, a photography enthusiast, borrowed our camera to try out an experiment. We were delighted when he showed his shots to us. That’s forced perspective! For the rest of the afternoon, we chilled out and enjoyed the island until it was time to go back to the mainland. We were back at our hotel, the Kookaburra, at around 5:00 PM. 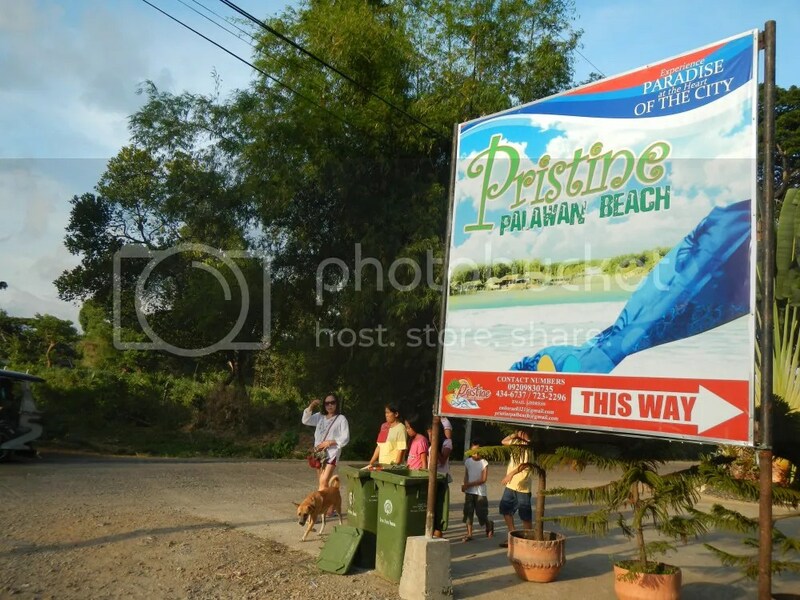 The nice thing about this hotel is that it’s only five minutes away from a popular public beach called Pristine Beach. It was a great timing since we’ll be able to watch the fantastic Puerto Princesa sunset. 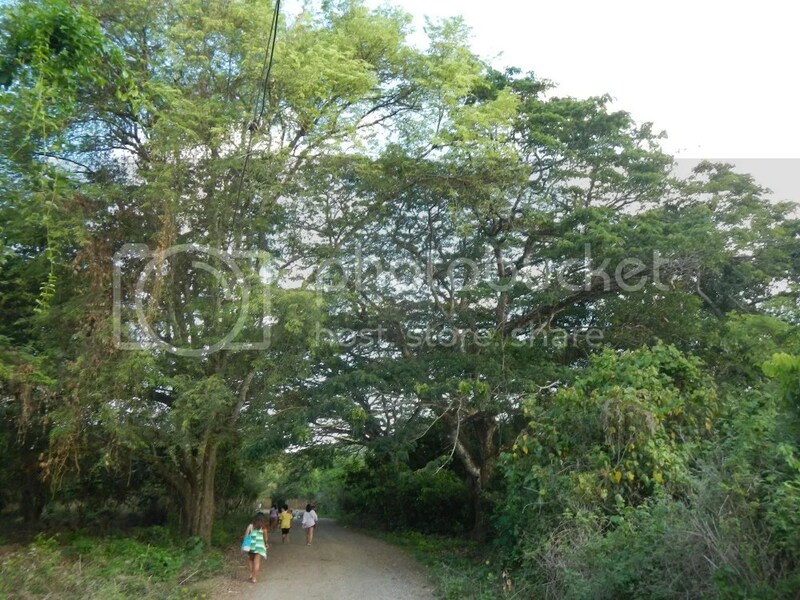 Trees with large canopies shield beachgoers from the sun and rain. It’s like walking into a jungle but with a beach at the end. How cool is that? The path to Pristine Beach cuts through a dense patch of mangrove. During high tide, seawater can reach this area and cover the path. Apparently, as seen in the photo below, the tide was quite high that morning. That’s Pristine Beach. Entrance fee is P20. There were only a few people around when we came in, probably because the tide was low. 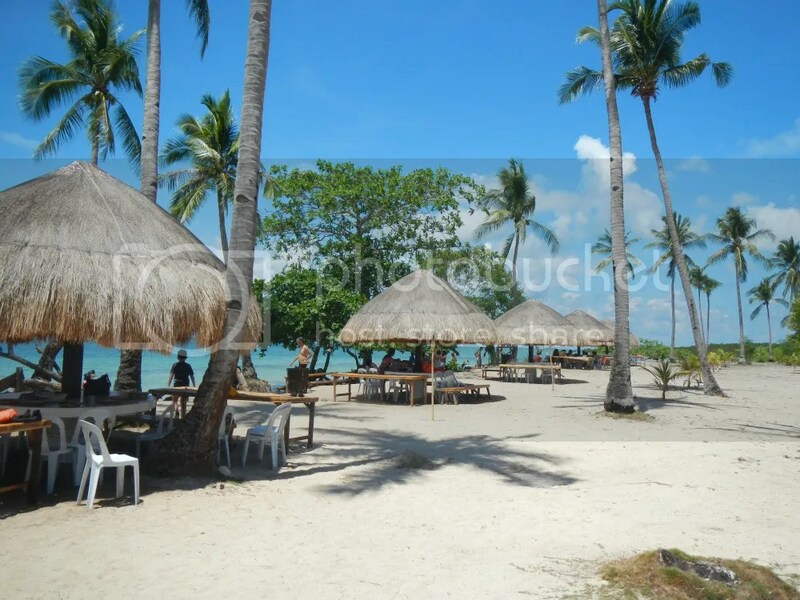 We could imagine throngs and crowds of beach lovers enjoying the sand and sea here. The retreating sea left its footprint, graceful lines and channels in the mudflats that is home to crabs, shrimps, mollusks, and other creatures of the sea. Low tide is when you can actually glimpse the marine ecology in action. 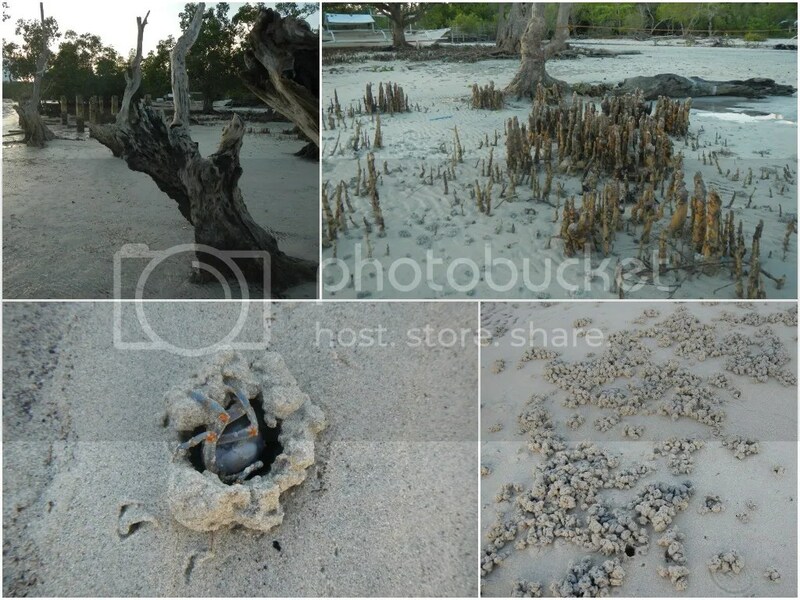 This is when you can truly see large patches of pneumatophores, a mangrove’s breathing organs. We also saw small crabs that quickly burrow under the sand the moment they sense vibrations. Those strange formations on the sand? Those are actually their burrows. A few minutes later, the sun began to say goodbye to a long day in its own breathtaking splendor. There’s nothing more romantic than holding your sweetheart amidst a spectacular sunset. I love you so much, Sweetie. All too soon the next day, we were scheduled for our flight back home. To tell you honestly, we really didn’t want to leave Puerto Princesa, but it was time to go back to our jobs, responsibilities, and lives. As you probably can tell, we were extremely satisfied and happy with our Palawan Anniversary tour. It was one very special anniversary, and we want to celebrate it this way again on our future anniversaries. Goodbye, Puerto Princesa! We’ll see you again soon. We are forever grateful for letting us see the majesty of your wonders and treasures. We are forever grateful for giving us a rare opportunity to immerse in your culture. We are forever grateful for letting us experience your adventures. We are forever grateful for keeping us safe and sound. We are forever grateful for the lessons and knowledge you imparted to us. Most of all, we are forever grateful for making this anniversary so special that it strengthened our love and bond for each other. 1. The Honda Bay wharf is around 20 to 45 minutes from the city center. You can opt to hire a tricycle for around P300 to P500 at the city center to get to the wharf. 2. 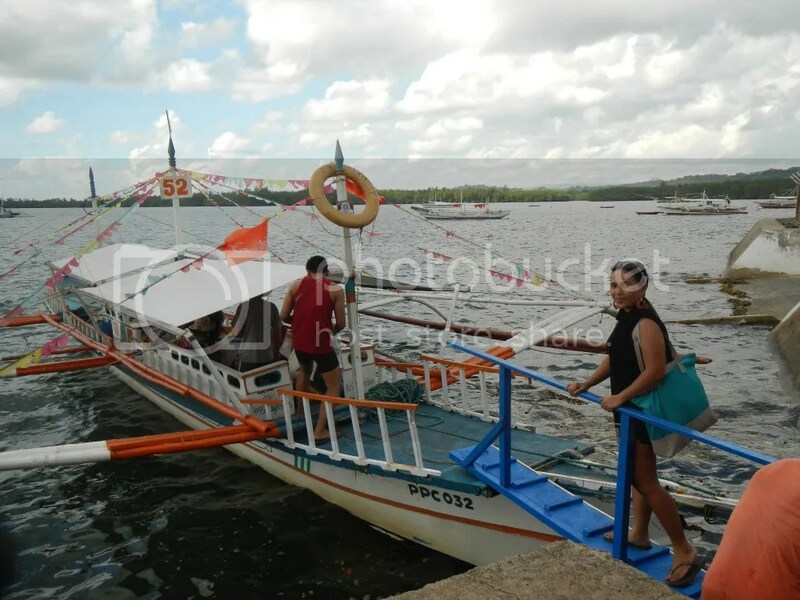 Unlike the Puerto Princesa Underground River tour where you have to book your reservation in the PPUR office, you can book your Honda Bay tour at the Tourist Information Center at the wharf. 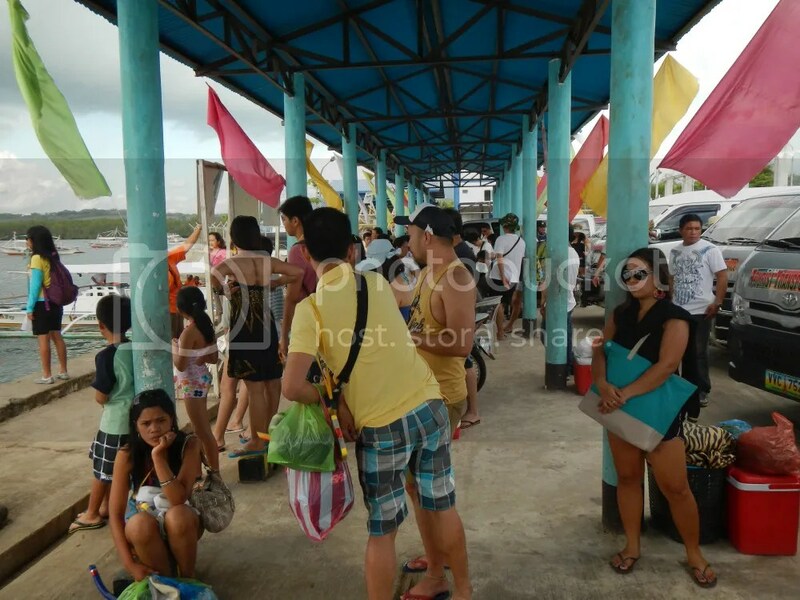 It is better to go there early so you can avoid long lines of island hoppers. There were already a lot of people when we got there at around 8:00 AM. 3. Just like the rates of PPUR tour services, the prices are strictly controlled. Below are the rates for the boat rentals, island entrance fees, scuba tours, environmental fee, etc. The steps to getting a permit are clearly posted in the Tourist Information Center. If you have any questions or concerns, just approach any tourism personnel stationed there. 4. 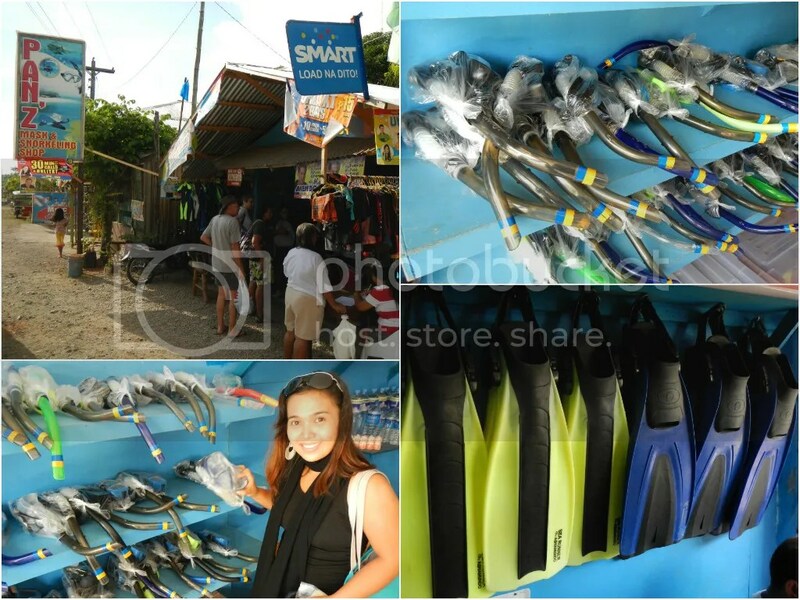 On the way to the wharf, you will stop by a small shop where you can rent snorkeling and diving equipment. You can also rent waterproof cases in case you have a non-waterproof camera. We only rented booties and snorkeling masks, so if you want to rent other equipment such as flippers and wet suits, you have to ask the shop’s representative or owner. Be very careful not to lose what you rent or else, you are going to pay a hefty fine of P1,000 per item. Unless you intend to wade in the islands of Honda Bay on low tide, there’s no need for booties. Also, if you want to save money, we suggest bringing your own snorkeling equipment and booties. 5. If you have a life jacket, we highly recommend bringing it with you. Yes, it may be bulky. However, the life jackets provided by boatmen are extremely ill-fitting (usually too loose) and of very poor quality. In fact, they may be injurious because they are too loose. Once you’re in the water, the jacket’s neckline/collar rises up to your neck and may become a choking hazard. Secondly, the jackets are uncomfortable since they are too loose. Mine bit through my armpits as I swam in the water. Lastly, the design does not allow you to tighten the straps to hug your body. Thus, if you raise your arms, you may actually slip off your jacket. 6. We’re not sure if lunch is provided in a do-it-yourself tour; we had free lunch because ours was a part of a tour package. Therefore, bring your own meals, snacks, and drinks just to be safe. Remember that the foodstuffs and beverages sold in the Honda Bay islands are at least three times the price of that in the city. Thanks for sharing your beautiful pictures. Congratulatiions on your anniversary. Thank you very much too for your compliment. Also, thank you for posting valuable information – how to get there, prices on rentals, fees, etc. Highly appreciated, will come in very handy later. You’re welcome. 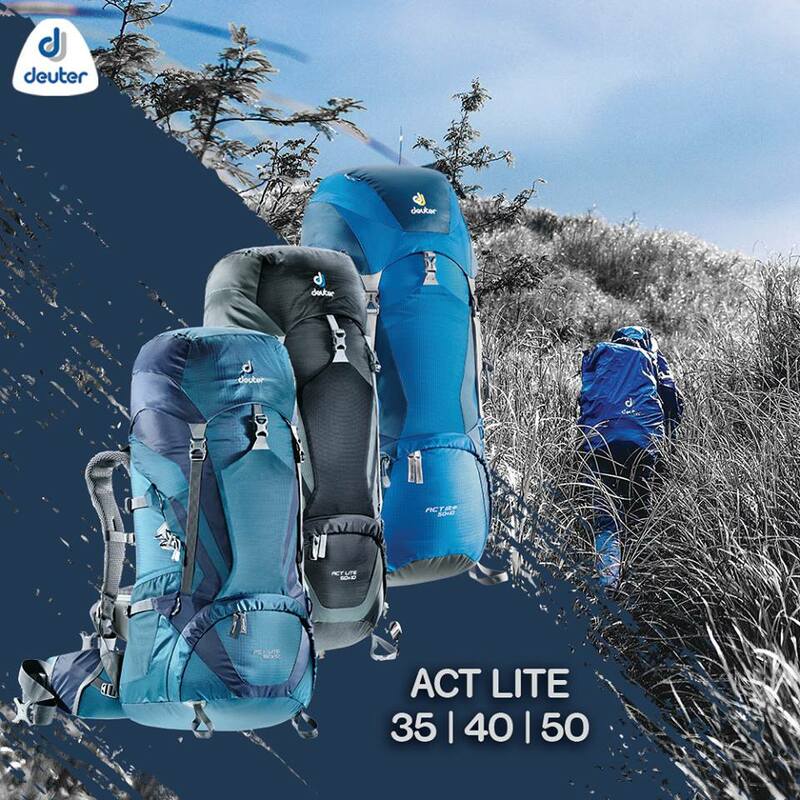 We’re trying to make this blog as helpful as possible to outdoorspeople, adventurers, rock climbers, mountaineers, etc. We’re glad that you find it useful. Thank you! Honda Bay is definitely amazing. I love your blog. So sweet and it makes me excited for our Palawan trip next week. Wow-worthy post! Thanks for giving the etymology of the term “island hopping.” Yeah, who knew? 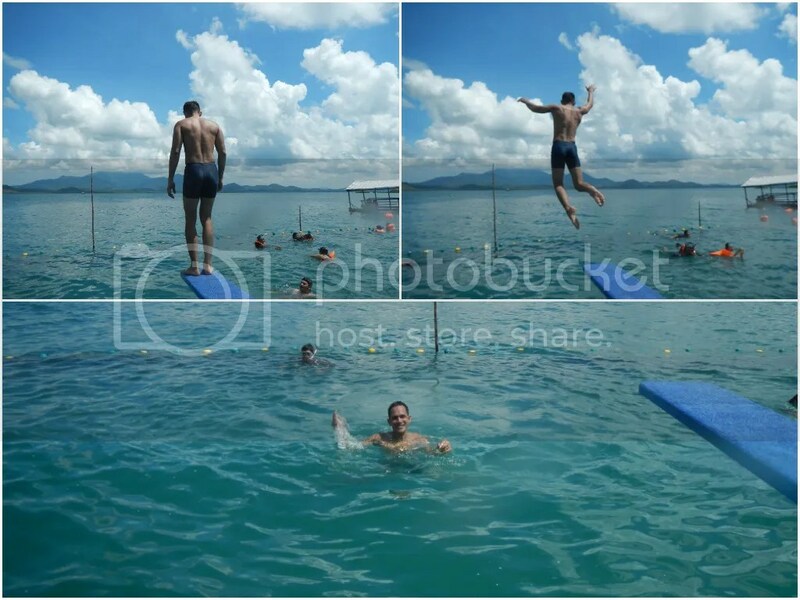 And that humongous pawikan floating platform is for the books, haha! 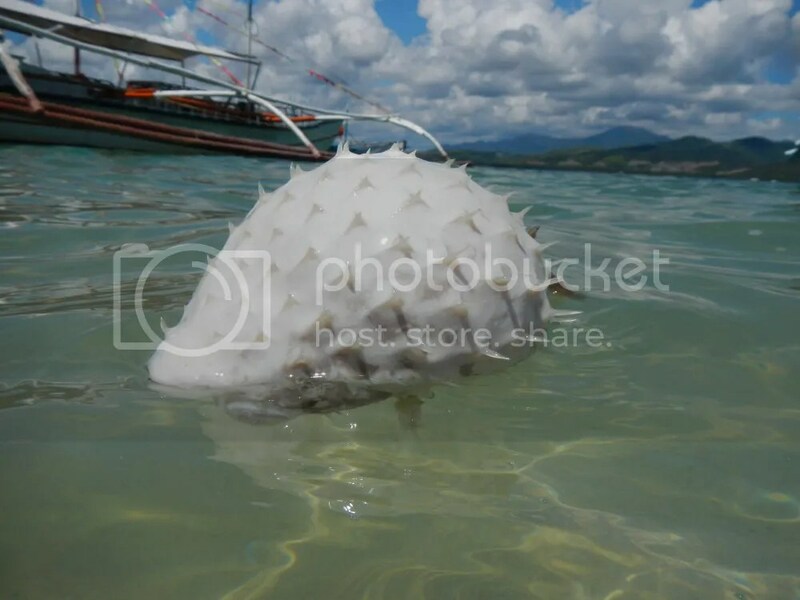 Nice shot of a floating pufferfish too. Even in death it still looks dangerous. Thank you, AJ.. 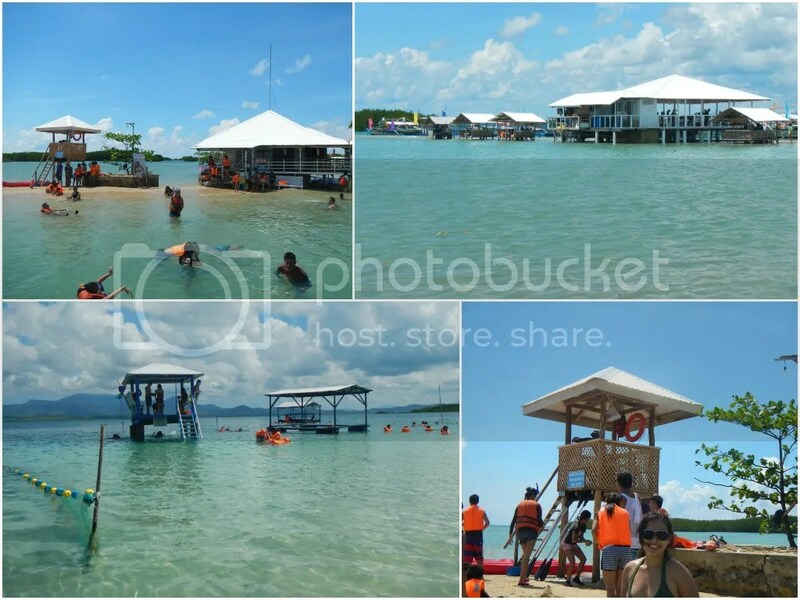 If you ever go to Puerto Princesa, make sure you visit the islands of Honda Bay. The islands are awesome! Do you also have suggestions for the City Tour in Puerto? 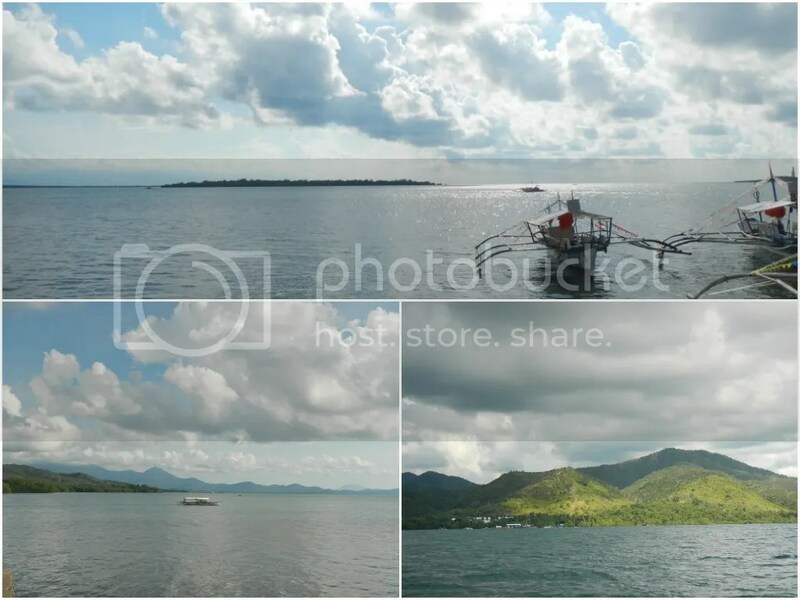 Scroll down until you reach the section titled “Suggested Itinerary.” Links to the sights, places, and attractions that we visited during our Puerto Princesa city tour are found under Day 1 Puerto Princesa City Tour. For guideship services, please contact Sir Jhun Salazar at 0906-3550429 or e-mail him at salazarmarquez@yahoo.com. Thanks for the reply… For this tourguide services,how much will it cost? 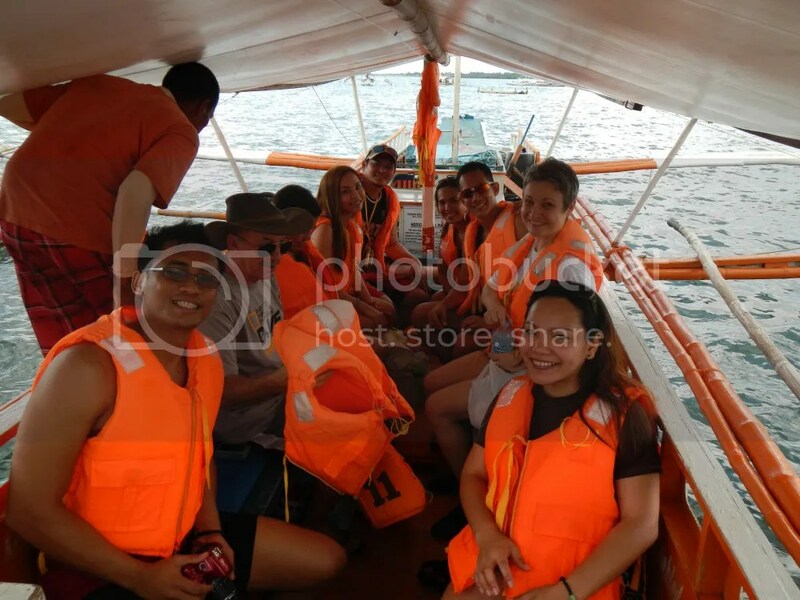 Because we have a tight budget,and we plan to take a tourist tricycle instead of renting a van for our city tour..We will be visiting PP nextweek and this blog is really helpful about what to-do’s and what to eat in Palawan..Thanks!!! We availed of a package, so the city tour was included in the rate. However, if we recall correctly, Sir Jhun said the stand-alone city tour rate is P600. 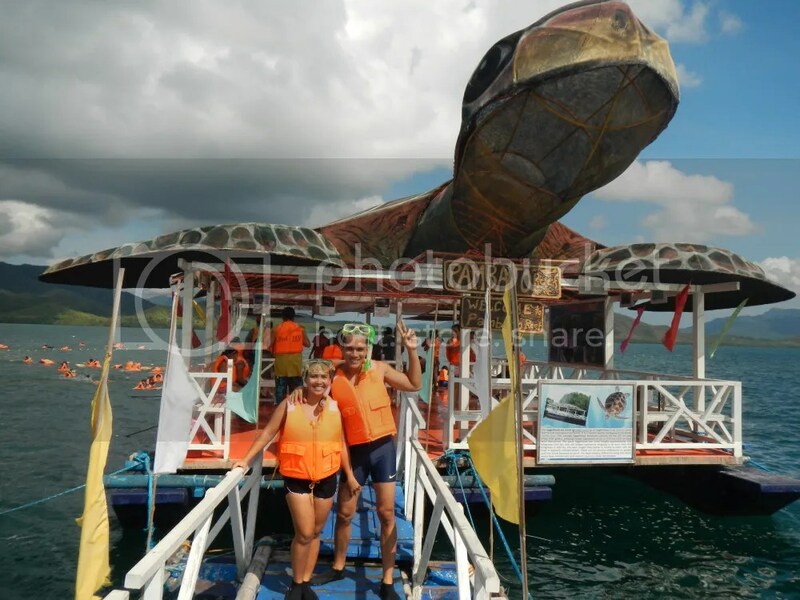 Check our blog entry titled Puerto Princesa Palawan Anniversary Adventure: A Teaser and scroll down until you get to the Tips section. There you’ll see a photo of the published rates for tours. You may also notice that the rate for the tour is P600 per person. We suggest getting in touch with Sir Jhun so you can work out a rate and a discount. Thank you so much for sharing your wonderful experiences and congratulations on your anniversary. This is really helpful for my planning. Keep on sharing your future wonderful escapades. Thank you for dropping by. We’re quite glad that the information in our Palawan/Puerto Princesa Adventure series helped you. You’ll surely enjoy your time there. Thank you. More adventures to come! i like your blog. full of images. you guys had so much fun during this trip. now i know it’s not dangerous to hold the head of jelly fish except for its tentacles. Thank you for the compliment. We use images to tell the actual stories so that readers will see what we actually saw and what we actually experienced. Regarding the jellyfish, we strongly recommend not to touch it regardless if it was the head or tentacles. Wildlife should not be disturbed in any way, including touching. Thank you! We’re glad that what we wrote here actually helped you in your vacation. Keep rocking and happy trip! Thank you too for taking time to read this blog post. We’re quite happy to know that you found it useful. Regarding your question, no, the water was quite calm because we went there on April, which is summer. The weather was good, and there were no heavy winds. We reckon, however, that the seas are rough during the rainy season. 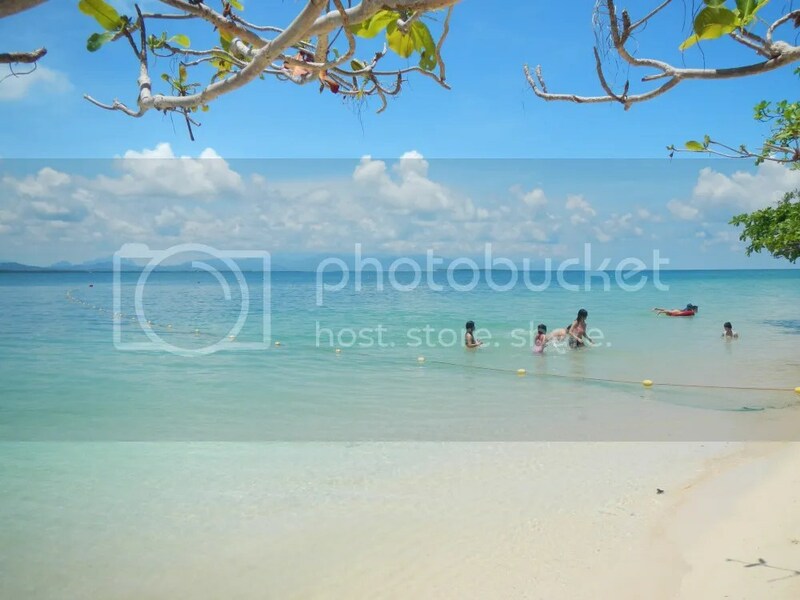 Thus, if you’re going to Honda Bay during on summer, chances are, you will experience clear, calm waters. Your friend wouldn’t have any problem. Thank you very much for visiting our blog. Indeed, hopping across the islands in Honda Bay is an exciting experience. No, we don’t have contact details of any boatman. But you don’t need to worry about that. Once you (or your travel agent) register and pay at the Honda Bay wharf, the staff there will assign a boat for you. I have a question though, are cottages already included in the tour packages? Or it depends? You’re welcome, and thank you too for visiting our site. With regards to your question, we’re not really sure. We did stay in a cottage when we had our lunch in Lilu Island. We also sat down for a minute or two in a cottage in Cowrie Island, and we saw families staying in cottages in the said island. Thank you so much for referring to our blog. Regarding your question. That is a per-group/per-boat rate. 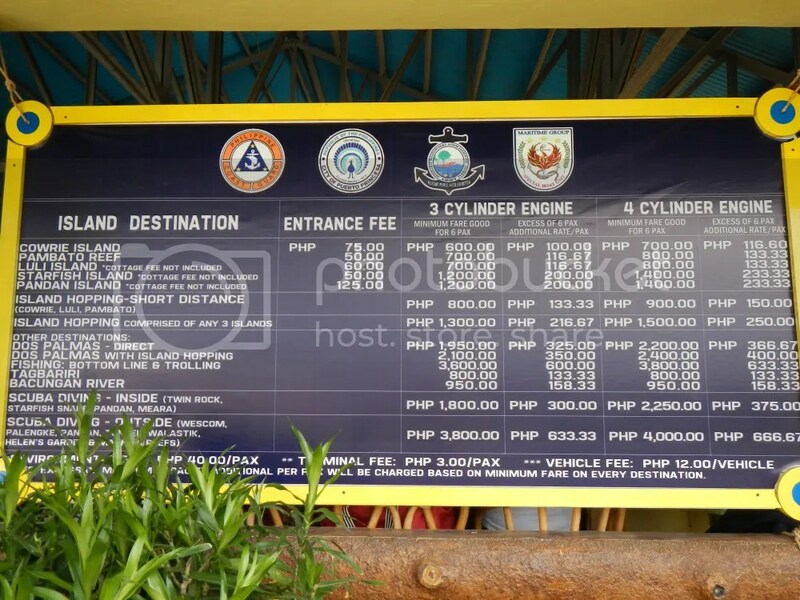 So, to rent a 3-cylinder engine boat for 6 people, you would have to shell out P1,200. Then if you have a 7th member of your group, he’ll/she’ll have to pay P200. Hi, what an excellent blog! 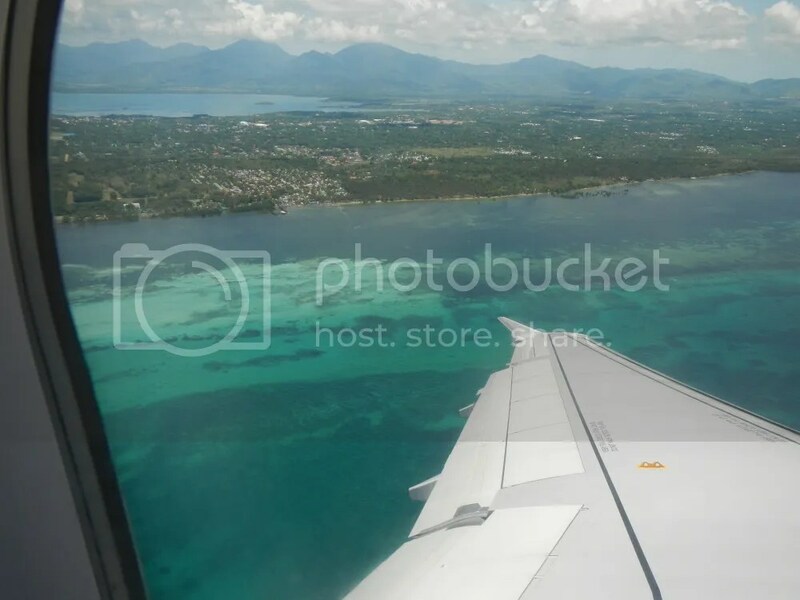 I’m going to be visiting Puerto Princesa in November and was wondering what tour company you used for the island-hopping, or if you have any recommendations as to companies? Thank you very much for the compliment about our blog. 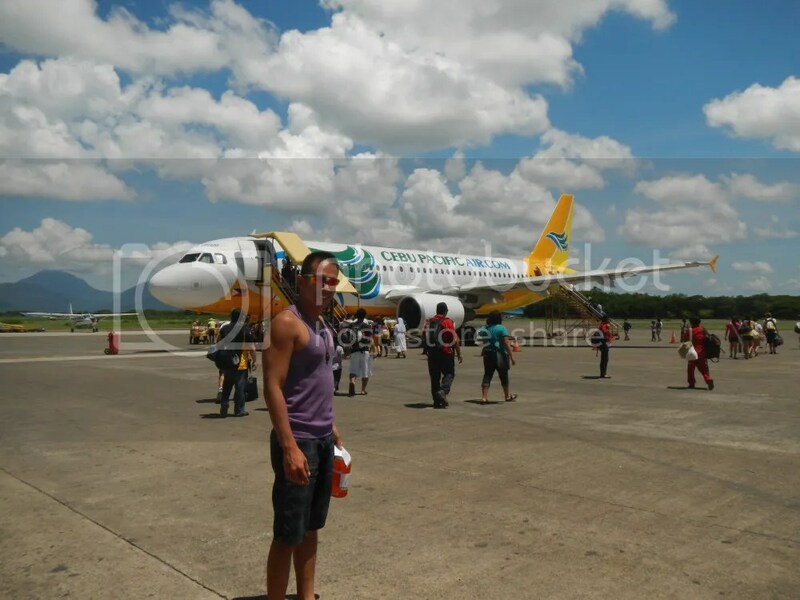 Puerto Princesa is a really great destination. Regarding your question, we used Golden Ticket Travel Services during our first visit. They handled our entire vacation, from transportation to accommodations to tours. Click this link and scroll down to the tips section to get the contact details of Golden Ticket. During our second visit, we let Mylene of Victoria Guest House and Cottages arrange everything. Click this link and scroll down to the tips section to get the contact details of Victoria Guest House. Hope this helps. Thank you very much! Good day po! Ask ko lng po kung magkano po yun Honday bay tour niyo po, and kung kasama na po yun lunch niyo?? thanks! Please check the Tips section of the blog post above for the rates and other details. Thanks. hi! Nice Blog! We’re going to Puerto Princesa next month, to celebrate our anniversary as well…I just wanna ask if ilang hours po ung honda bay tour nyo? we’ll be staying for 3d2n, so we have to choose 1 tour only. but if i remember it correctly.. on ur 3rd day kau nag Honda Bay tour… ang flight po kasi nmen is 5pm. do u think kaya pa po nmen mag honda bay tour non? thanx! 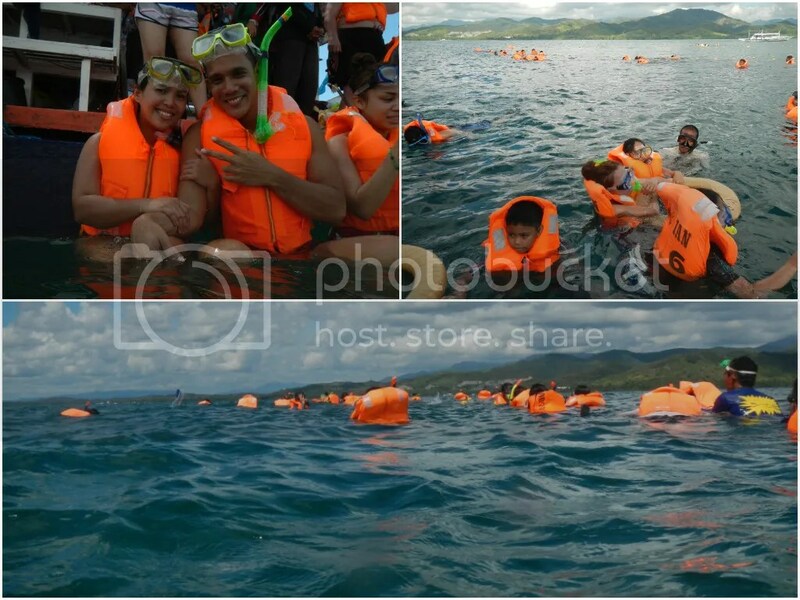 Honda Bay Tour or Underground River Tour.. Sa Undergorund River po ba may time din na u can snorkle like s honda Bay? thanx! Hi! Thank you for visiting our blog. If I remember it right, we started our Honda Bay Island Hopping tour at 8am and ended at 2pm, so it’s around 6 hours or basically just half a day. We arrived at the wharf at 7am and had to wait for our boat. Expect a considerable wait time. If you start earlier, say 6am, then you will have a good head-start for the island hopping activity. The earlier you get to the wharf, the better. This way, you can still catch up with your 5pm flight. Just give a heads-up to your tour guide of your flight schedule so that will be taken into consideration. Also, have your things already packed up the night before so you will just have to take a quick shower, grab your bags and head to the airport right away after the Honda Bay island hopping activity. We recommend that you do the Underground River Tour and the Honda Bay Island Hopping tour. Based on your schedule, you can do both tours. Just start out earlier on your last day to give you an extra time for your flight home. thank you so much! You are such a big help! but once again… if you need to choose only 1 tour..which would it be? 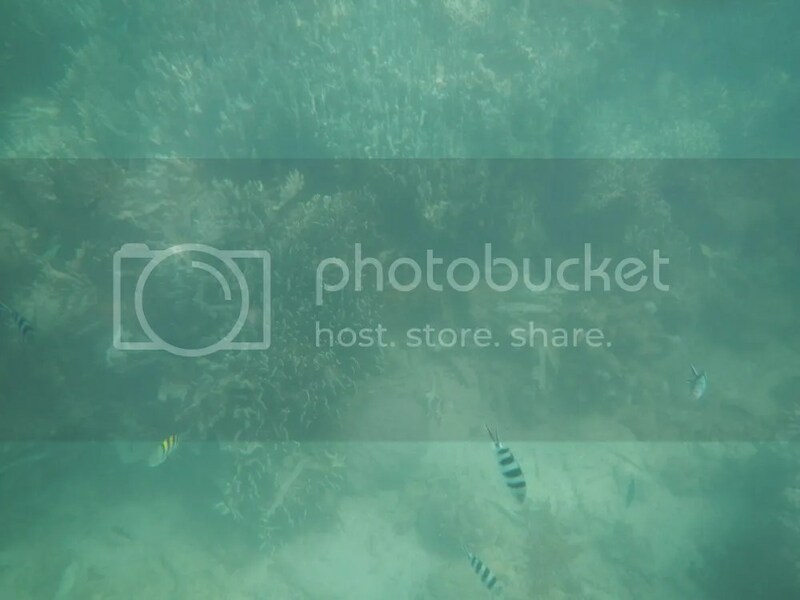 We love snorkeling … can we do that in the Underground River tour? and also do you think its a big hassle if we’re going to D-I-Y the tour? coz we actually prefer to have our own boat so that we can manage our own time. Is the entrance fee for each island and the payment for the boat which cost around 1200 or 1300 is separate? I want to weigh in my options as much as possible we would like to go in 4 or more islands, the resort where we’ll stay only offers 3 islands for P1500 per person and its like we’re gonna be 12 in 1 boat. I am sorry for having such long and loads of questions. but i really hope you could help me on this. Thank You so much. and More power to ur blog! If we were to choose, we’ll pick the PPUR tour. It’s one of UNESCO’s New 7 Wonders of Nature. 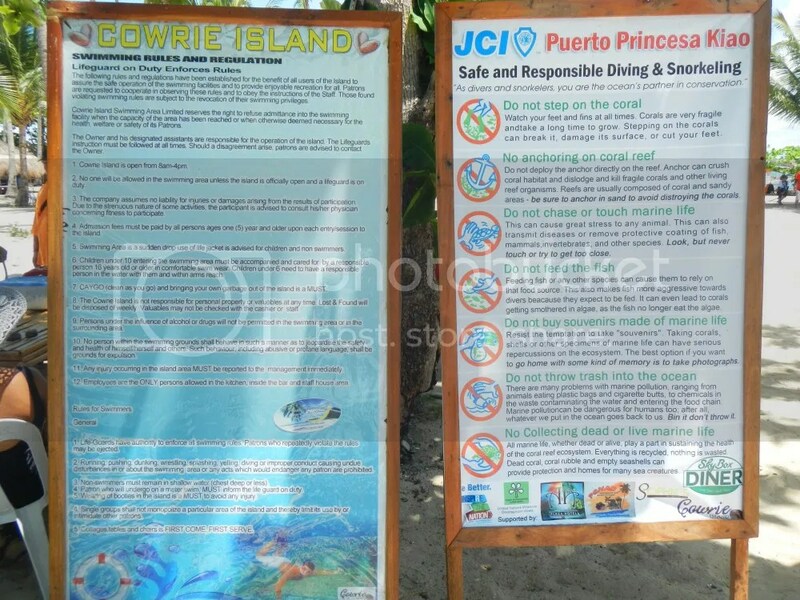 No, you can’t go snorkeling or even swim at the beach near the underground river because it is a protected area. Regarding the Honda Bay island hopping tour, I don’t think it will be a hassle if you do a DIY. You will have the whole boat to yourselves and the time on each island will solely depend on you. You can actually do the island hopping in just half a day. Yes, the entrance fees to the islands are not included. 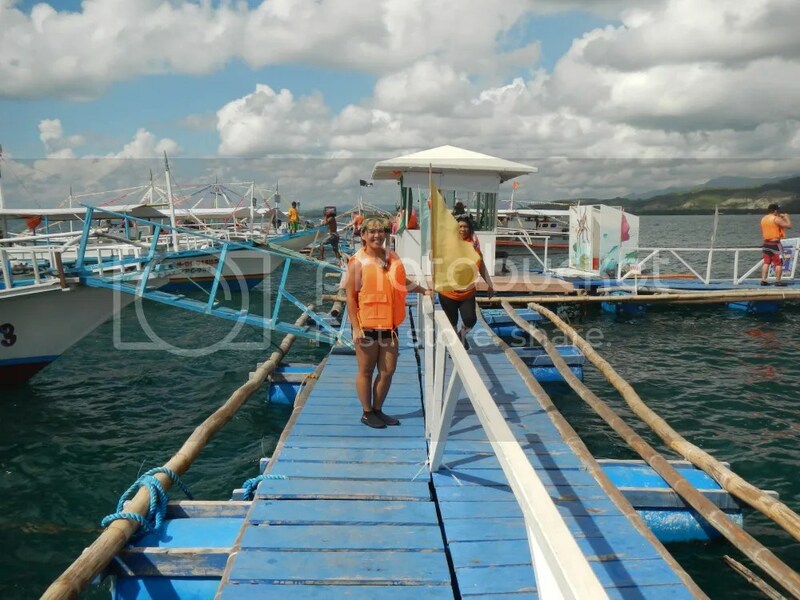 The 1,200 or 1,300 fee is just for the rent of the outrigger boat for the duration of your island hopping activity. The 1,500 fee per person for 3 islands already include a tour guide, lunch and transportation from your hotel to the wharf and back. If you will do a DIY, you need to arrange with the hotel for the transportation though as the wharf is quite far from the city. Hello! How are you? Just a quick question. Does this article feature all about the Honda Bay Island tour? Or your entire Palawan experience? This is just about our Honda Bay Island Hopping experience. For the entire Palawan tour, click this link. 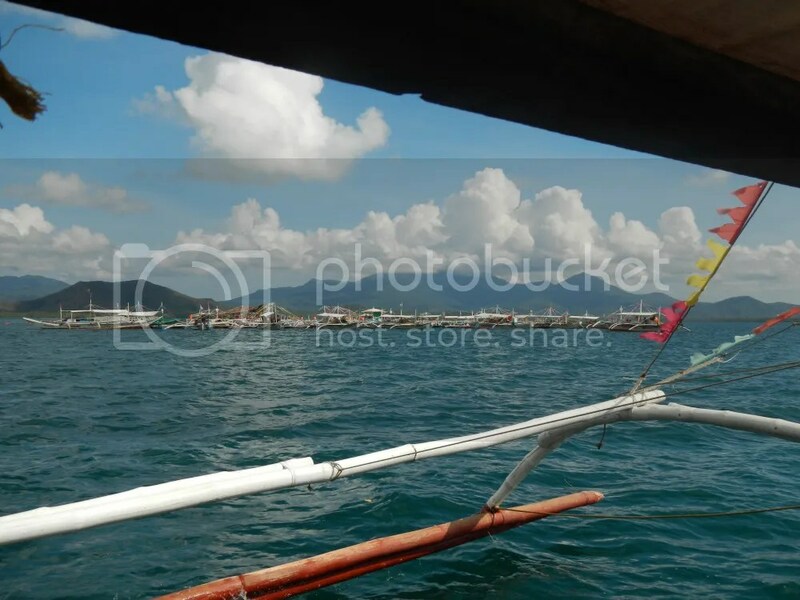 Scroll down and you can find a link for each of our adventures during our Puerto Princesa tour.